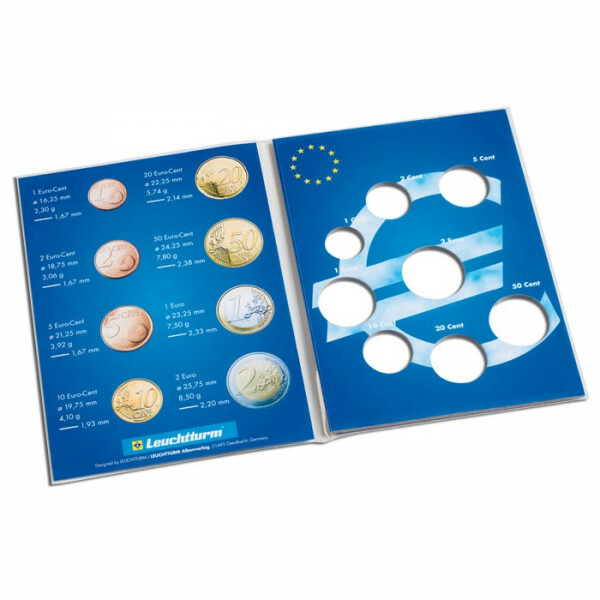 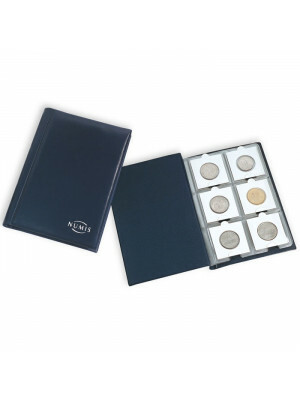 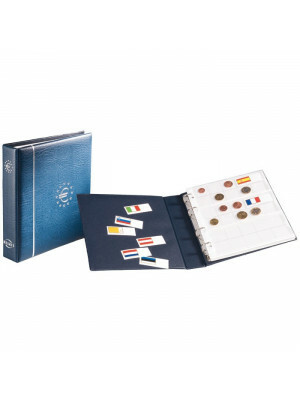 Strong cardboard constructions with cut-outs for one euro coin set with clear protective sleeve. 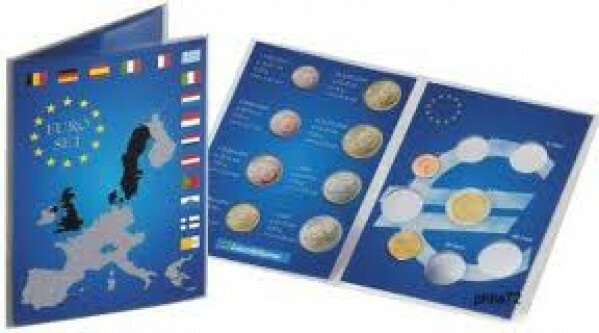 Coins can be viewed from both sides. 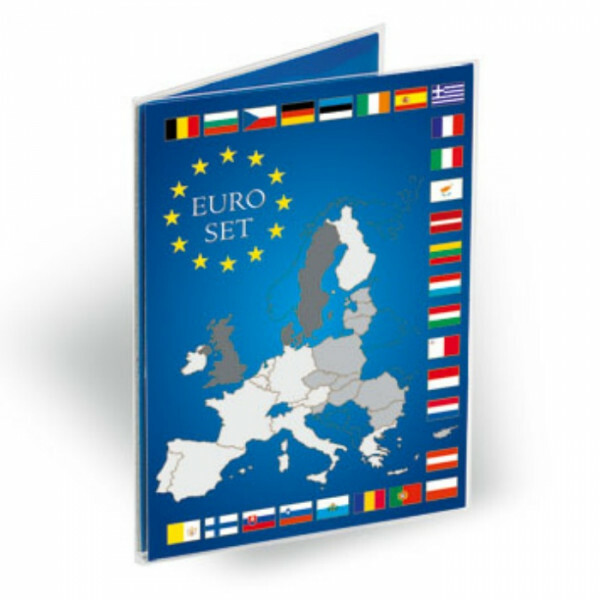 Overall size: 212 x 144 mm (8 1/3 x 5 2/3").